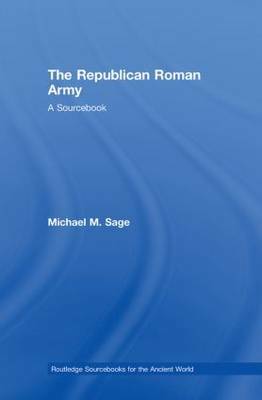 The Republican Roman Army assembles a wide range of source material and introduces the latest scholarship on the evolution of the Roman Army and the Roman experience of war. The author has carefully selected and translated key texts, many of them not previously available in English, and provided them with comprehensive commentaries and essays. This wide-ranging survey of documents recreates the social and historical framework in which ancient Roman warfare took place - from the Archaic and Servian period through to the Late Republic. The topics addressed extend beyond the conventional questions of army mechanics such as strategy and tactics, and explore questions such as the army's influence on Roman society and its economy. Complete with notes, index and bibliography, The Republican Roman Army provides students of Ancient and Military History with an unprecedented survey of relevant materials.